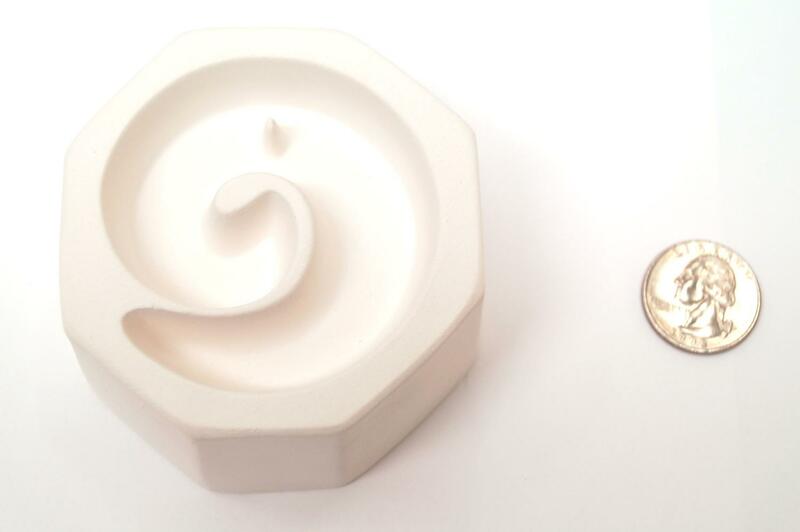 Unique mold design creates openings in the casting. Fill casting molds with glass frit, scrap and powders to create one-of-a-kind cast glass pieces. 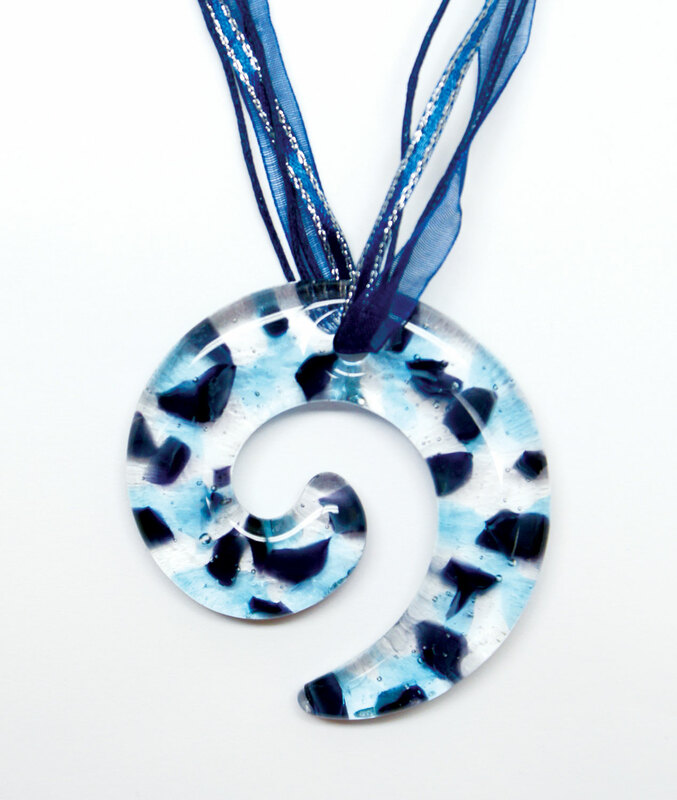 The possibilities are endless, use to create personalized ornaments, suncatchers and pendants. Ceramic molds can be used many times. 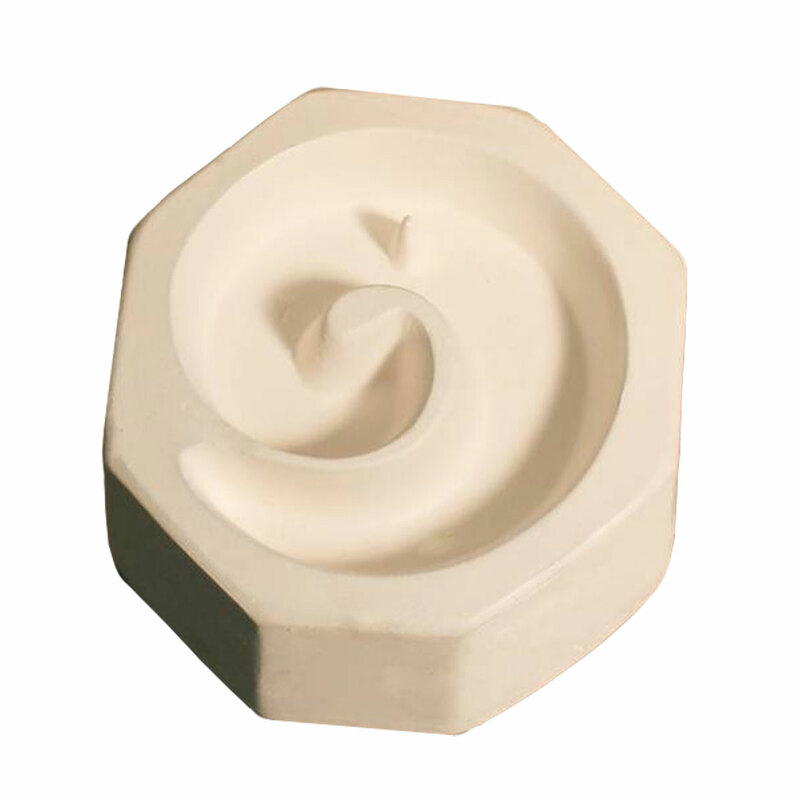 Coat with ZYP or a casting mold release before use. Finished pieces measure 2" diameter. 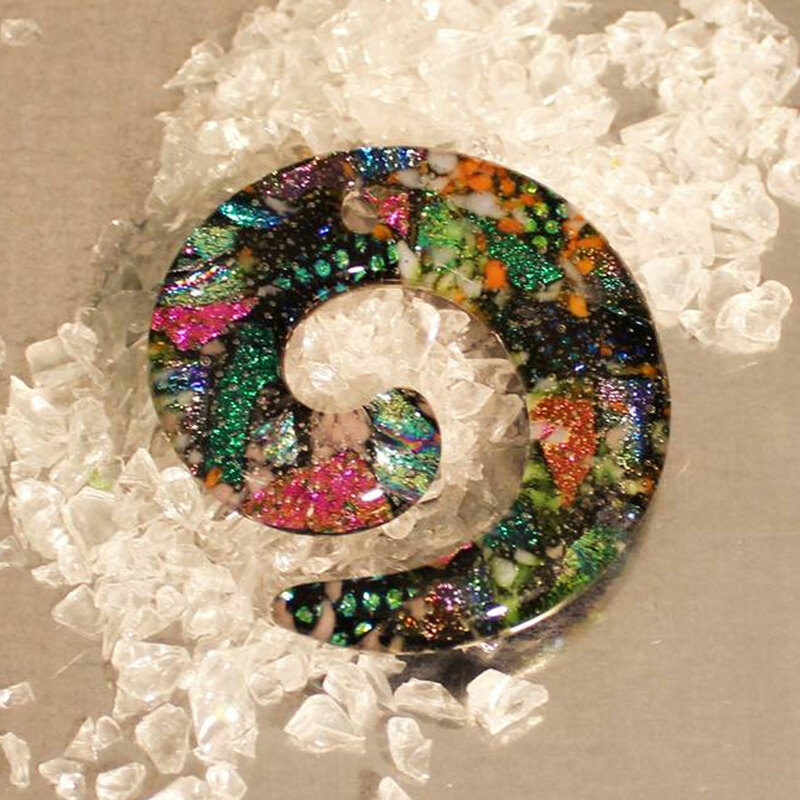 Dichroic project by artist Stephanie O'Toole, courtesy of Creative Paradise. Blue and clear project by artist Pam Peters. Pros : Beautiful shape and size. 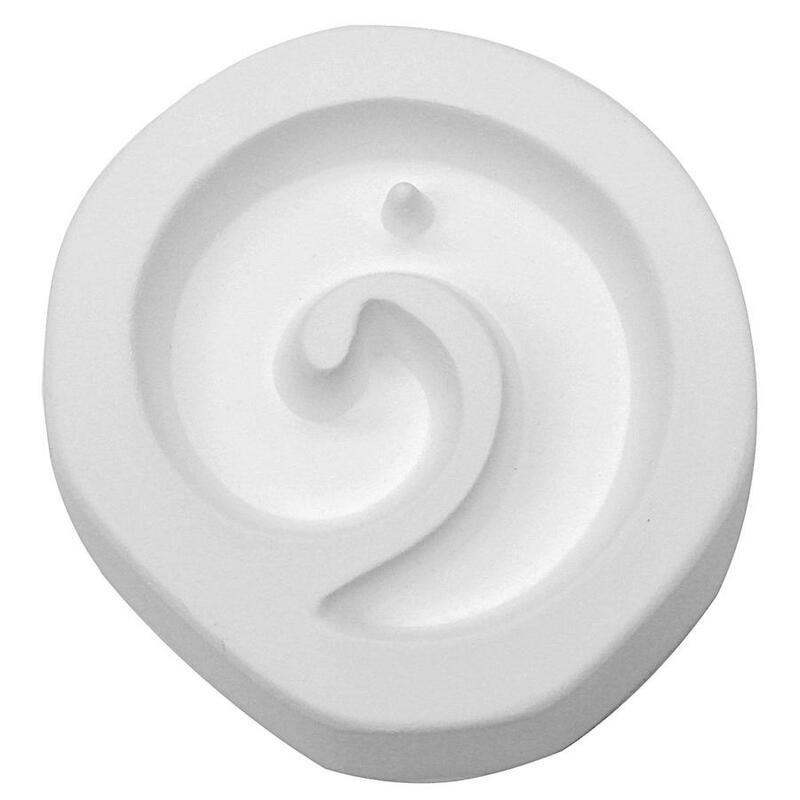 Makes a very large pendant or nice size suncatcher. May also be used as an ornament. Other Thoughts : Like all casting molds, they must be prepped thoroughly. Before first use, I spray 4 coats of ZYP making sure to rotate mold and get every angle covered. Let dry 5-10 minutes in between coats. Must respray 2 more coats after each use! I have had post come off because I use this mold so much. Don't throw it away! Drill hole using dremel and diamond drill bit. Works great!